Cory grew up with a passion for animals like most wildlife carers and spent his youth initially breeding canaries and finches before moving onto breeding and hand-raising a variety of parrots. 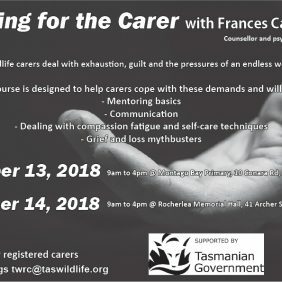 At the age of 16 he got his first hands-on experience with an orphaned pademelon joey and 15 years on, he has raised a variety of wildlife ranging from pygmy possums and wrens to devils, quolls, platypus and pelagic seabirds. 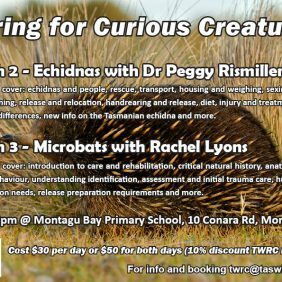 Cory specialises in echidna puggles, bettongs, platypus, water rats/rakali and the larger penguin visitors.